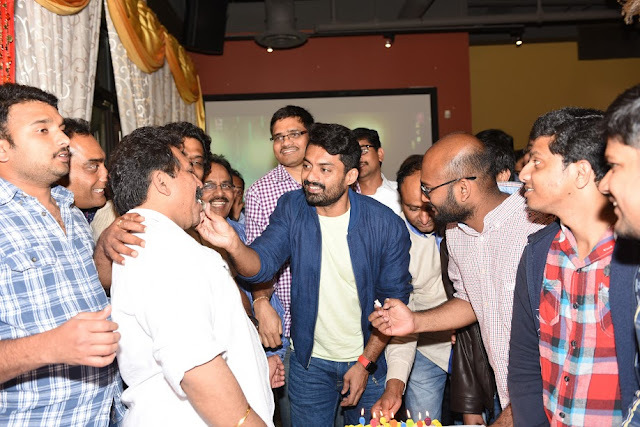 The Telugu community in Chicago extended a warm reception to actor Nandamuri Kalyan Ram, who was in the city for a holiday. The actor visited Chicago along with his family after almost a decade. Young fans and students turned up in big numbers to cheer the actor enthusiastically. In what was a surprisingly huge turnout for a weekday, members from various Telugu organisations and affiliations gathered in big numbers at Masala Restaurant in Chicago for a Meet and Greet session with the actor. Kalyan Ram spoke about his connection with the city and about his student days. He remarked about the peaceful and balanced way of life that the US provided and asked the Telugu community to respect the United States as a second home, for giving them a chance to grow and succeed professionally. Senior members of the Telugu community in Chicago spoke about their association with the Nandamuri family. The grand meet and greet was rounded off with a photo session for all the guests as well as a cake cutting ceremony to mark Shri N.T.Rama Rao's Birthday, which falls on the 28th. Guests were also entertained by spirited performances from singers Deepthi and Sandeep. Kalyan Ram will be traveling to St.Louis, MO to attend the TANA conference on the 27th and 28th of May.